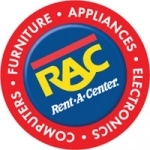 Rent-A-Center is an American company, which is based in the region of Plano, in Texas. They mainly deal with the business of renting electronic goods and furniture on rent, for the credit-stacked inhabitants of the country. Being incorporated in the year 1986, the company has gone a long way to establish itself as a reputed renting service provider. However, the concept of business regarding rent-to-own was initiated by J. Ernest Tallay, in the region of Kansas, during 1960s itself. Presently, Rent-A-Center possesses 3,074 stores under its own business chain, within the states of Canada, Mexico, Puerto Rico and even the United States. It inculcates to about thirty percent share of total renting business in the United States. There are currently 4 consumer reviews about Rent A Center available. Share your review. i purchase a hp laptop from Culpepper Va store . Had problems with it 2 times told them 3 times they can keep it . Mysteriously it all of a sudden paid off . Well tech messed keyboard up badly . They tell me its normal wear BS . I going to hit utube and anywhere else i can to make sure RAC will not cheat anymore customers and with any luck bankrupt them. Will be contacting better business burea also . DONOT DEAL WITH RAC !!!!!!!!!!!! My husband and I are so disgusted by the way your company intentionally ripped us off and your employees lack of care for the customers that pay there salaries. We rent from the store in Bradly, Illinois, located on Route 50. In November of 2011 we leased a living room set for 18 months, so we were under the impression that it would be paid off this month. WRONG! Buyer beware, they have quite a scam going...In June of last year my husband went in to make a payment on our living room set and they offered my husband a deal, $9 a week to add a T.V. to our lease. My husband even verified with the current manager of the week (the turnover on managers is unreal) that after our living room set was paid off that we would only have the $9 a week payment. So a week or so ago I spoke with a worker at the store and asked what date (in April) will my L.R. set be paid off..he then tells me that because we added the $9 a week T.V. that our L.R. set will not be paid off until October. We are required to pay another $1400 or so on the L.R. set because we added a T.V. My husband and I have been going back and forth with this store over this and spoke with the current manager and told him what the previous manager told us, and his response was "I hate when they do that", meaning lie to their customers. I went into the store last week and the guy behind the counter was so worried about looking past me at his girlfriend that was in the store, that I don't even know if he ever even made eye contact with me. After getting upset with him about the whole situation, I finally asked him "so basically, you are charging me for the furniture twice?" and his response was "yes". But he insisted that if he had been the one to sell me the T.V. that he would have made it perfectly clear that it would cost me months more of payments on the L.R. set. Well I had a friend call and ask some questions about possibly leasing some furniture and asked what would happen to if they added something to their existing contract and he assured them that it would not cost them anymore on the original lease to add to it. People have to come to your company because of poor credit issues..whatever the reason be. So you have us already paying at least triple of what the merchandise is valued at how can you morally do this to people? Please take a note that you are about to post a public review about Rent A Center corporate office on CorporateOffice.com. This review will be public, so please do not post any of your personal information on this website. If you would like to contact the corporate offices of Rent A Center, please use their contact information such as their phone number, website, and address listed above to contact them. However, sometimes staff from Rent A Center headquarters do read the reviews on this website.